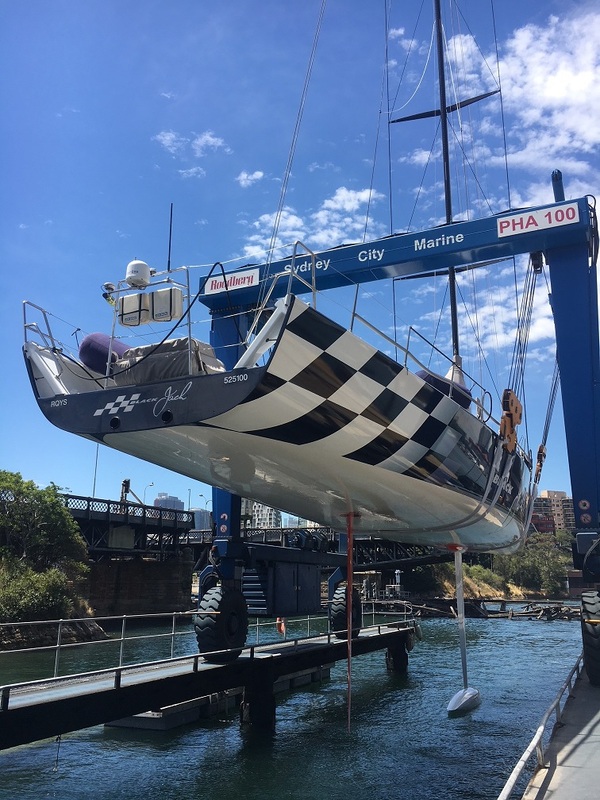 Sydney City Marine, the state-of-the-art shipyard on Sydney Harbour, a stone’s throw from the Sydney CBD, has welcomed several high-profile Sydney Hobart entrants, including last year’s overall winner, Giacomo (now Wizard) and contender, Black Jack, owned by Peter Harburg. Craig Boddington, Project Manager at Sydney City Marine, says SCM is the logical choice for yachts competing in the 2017 Rolex Sydney Hobart Yacht Race for its superb location – “five minutes from the Sydney CBD and 20 minutes from Mascot Airport” – the wealth of technical expertise onsite and the ease of docking for yachts ofall sizes. “SCM is a full-service shipyard that can handle all facets of race yacht repair, maintenance and refits,” says Coddington, himself a veteran of two Sydney Hobarts and many thousands of nautical miles cruising and racing all around the world. As well as a Lloyds-certified 800 ton ship lift and boat ramp with 47 Tonne submersible trailer and 100 Tonne travel lift, SCM has its own marina with on-water space for boats to enjoy unrivalled proximity to this season’s summer of sailing, including the Bird Island Race and SOLAS Big Boat Challenge. Alex Nolan, Black Jack Boat Captain, says SCM is the champion yacht’s “second home”. Mitch White, Boat Captain for the Volvo 70, Wizard (ex-Giacomo) last year’s Sydney Hobart winner on corrected time, is a loyal customer at SCM. Wizard has been at SCM for a paint and general “reberthing” to freshen up gear and superstructure ahead of the 2017 Rolex Sydney Hobart Yacht Race. The 2017 edition will be the 73rd running of Australia’s bluewater classic, starting at 1pm AEDT on 26 December 2017 on Sydney Harbour. The fleet of 110 yachts, including a record 31 internationals, will then race 628 nautical miles to the Tasmanian capital.